Congrats! You’ve made the decision to finally start a blog! But if I know you, I know you don’t just want to start any old blog, you want to know how to start a successful blog from the ground up. When I first started blogging, I had NO idea what I was doing, let alone any clue that blogging could be a full time career. I knew I wanted a creative outlet, and was pretty much sharing photos from the web that inspired me and writing little blurbs about them. Fast forward to 5 years later, and I’ve switched from WordPress.com to WordPress.org, bought my own domain and customized my website template design, and am monetizing my blog through brand partnerships, ads and affiliate marketing! I’m no computer whiz, and you don’t have to be either! All you need is basic computer knowledge (literally just typing and clicking), some great ideas, and motivation to write your little heart out! Choosing your focus is an essential part of starting a successful blog. A blog can cover SO many things, so it’s really important to narrow it down. Many experts will tell you that you need to choose a niche. I don’t think that’s true and I’m not recommending you pick a niche (unless you want to of course) but you should focus your content, and there are other ways to do that. For example, perhaps you want to be a mommy blogger. You can talk about all things lifestyle, from a mom’s point of view. My Life and Kids, Living for Naptime, and Busy Blogging Mom are great examples! Or, maybe like The Golden Girl you want to focus on a real girl approach to living your best life. She focuses on content for the stylish, everyday girl, and talks about everything from fashion and beauty, to travel, to healthy living. The targeted audience is her focus, so she’s still able to write about lots of different things! 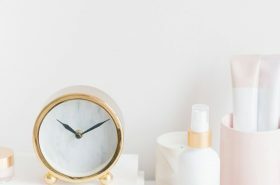 Very Erin focuses on self-improvement and personal growth, and covers a range of topics including how to prepare for a move, 10 things every woman should have in her purse, how to beat the afternoon slump, and so on. There are ways of writing about a lot of topics but still having a focus. See what I’m saying? You don’t have to ONLY write about fashion, or only food, or only budgeting. If you want to start a blog, chances are you want to write about a bunch of different things. You can SO do that, just make sure your content and audience is focused! Figuring out your audience (or target reader) can be the toughest part of starting a blog, but it’s absolutely essential is you want to build a successful blog. Without knowing who you’re writing for, you end up writing to no one. When a lot of bloggers first start out, they think if they write for everyone, then everyone will read their blog, but the opposite tends to happen. Your target reader wants to feel like you’re talking to her through your posts. This is what will make her come back for more! One of the best ways to how your audience is to create a reader avatar. Your reader avatar is a character you come up with that you’re going to be talking to every time you write a post. By character, I mean they’re a symbol of a real person who would be reading your blog. Start out with their demographics and basic information about them: Their age, gender, race, hometown, marital status, kids/no kids, pets, career, income, etc. Then write down their likes and dislikes, passions, hobbies, struggles, paint points. What makes them excited to wake up in the morning? What do they wish they had more time for? What is their biggest dream/goal and what’s stopping them from reaching it? Knowing the inside and out of your ideal reader will be SO helpful when it comes to creating content for your blog. And when I say write down things like their struggles, this doesn’t have to be something like an illness or tragedy (although it could), it could also be issues like not having enough time to cook healthy meals, or feeling unfulfilled in their career. You may notice that your avatar starts to sound a little bit like you. Your avatar shouldn’t me you, but it’s likely that your avatar will closely resemble you from a few years ago. But don’t make this your go-to. If your avatar is totally different from you, that’s totally fine, too! Choosing your domain name will be one of the most important things you do for your blog. It should also be your blog name so you want it to be something you love and want to stick with! Some people choose to use their full name as their domain name and there are many positives of doing so. Check out Melyssa Griffin’s post on why she switched over to MelyssaGriffin.com from TheNectarCollective.com. Perhaps one day I will switch to KateBialowas.com, but for now I’m happy with my blog’s name! If you’re having trouble thinking of a name, your full name might be a good option. Otherwise think about the following: What will your blog be about? Who is your target reader? What are the categories of your blog? What problems does your blog aim to solve, or what is the end goal? These things can help you come up with your blog name! Make sure it’s easy to say and read, and that people don’t need to guess how it’s spelt (which can be a big issue if they’re putting it into the URL to try to find your blog). There are a handful of blog platforms out there to choose from, some of the most popular being WordPress.org and Blogger.com. I started out with WordPress.com, but when I wanted to get more serious about blogging, switched to being self-hosted on WordPress.org. To buy a domain and actually own your own blog you must have WordPress.org – that’s why when I first started my url was www.layeredindulgence.wordpress.com instead of www.layeredindulgence.com. The second one is so much more professional, so if you want to get serious about blogging, and eventually start monetizing your blog, WordPress.org is the way to go. There’s a fee if you go this route, but it’s definitely worth it to own your own site. Otherwise, free sites (like WordPress.com) have full rights to your content. Some other things I love about WordPress.org are that they make it easy for you to optimize for SEO, there are tons of free plugins and widgets, and you can easily customize your blog the way you like! It’s also key if you want to start monetizing your blog and become a full time blogger. This is something I wish I had done right from the get go. Last year I went through Ruth Soukup’s Elite Blog Academy (EBA) and it completely lays the foundation for starting and growing a successful blog. 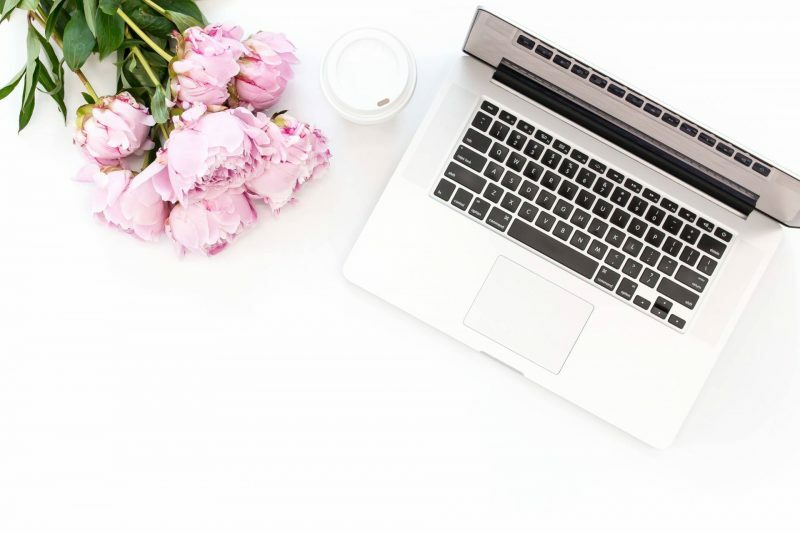 From refining your message, creating killer content and a gorgeous blog presentation, to fool proof ways of growing your traffic, social media and email list, to monetizing your platform and building your blog into a business, EBA is a one-stop shop! Ruth lays out the step-by-step of exactly what you need to do to make your blog successful and churn an income. It offers the perfect structure to help you move forward and helped me grow from 1,000 page views to over 30,000 page views a month and counting! Ruth only opens the cart for EBA once a year (usually in March!). Get on the waiting list here so you don’t have to wait a year for the cart to open again! I waited year after year and when I finally took the plunge I wish I had done it sooner. It’s definitely an investment, but if you want to get serious about your blog, monetize it and take it to the next level, this is the course for you! PS. You get lifetime access to the course, so that means you FOREVER get access to any updates she makes on the course, and she’s always making it better and better! Do some research on which host you want to go with for your site. I decided on SiteGround and have had a really amazing experience with them so far, I highly recommend them! They have 24/7 customer service and are always helpful when I need anything – although I’ve only had to reach out to them a couple times. You can see a full list of the differences here! Choose the package that best suits your needs and click “Get Started.” You will then be able to sign up your domain name. And voila, after you make your payment, you will be the proud new owner of a blog and domain! Easy as that! Now comes to fun part! You get to design your blog! If you really want to go all out you can hire a web designer to design a website for you. These can be pricey, but definitely worth it if you want a really professional-looking blog! 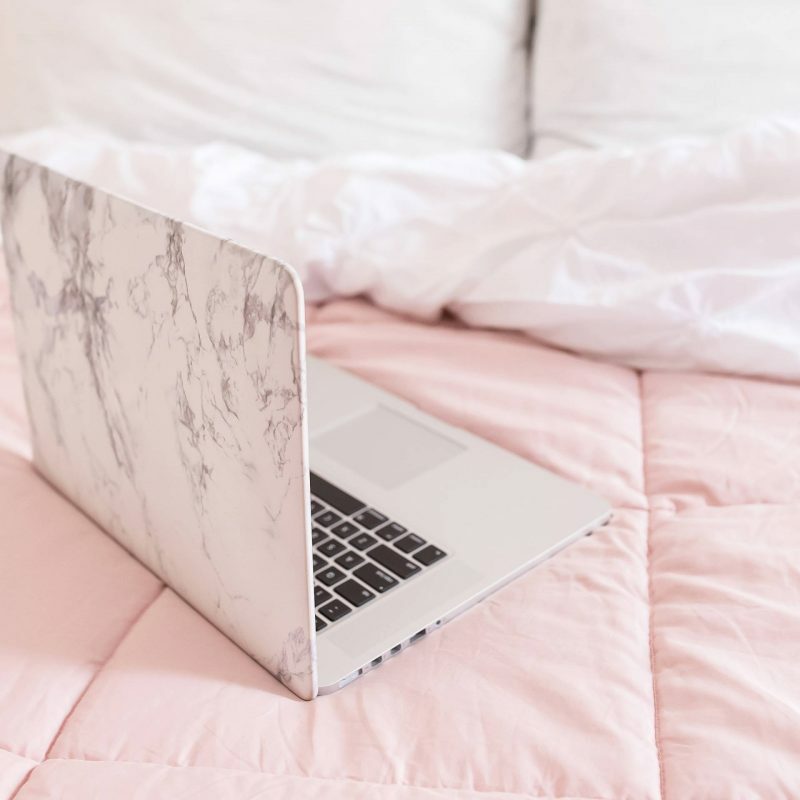 Personally, I can’t wait to invest in a customized design for my blog, which is one of my big goals for 2019! However, I’ve come this far without one and there are some really beautiful templates out there! You definitely don’t need a professionally designed website to have a successful blog or to start making money with your blog, but if you have extra cash to make the investment, then go for it! WordPress has some free templates, but I bought my blog template from A Prettier Web and couldn’t be happier! Mel’s customer service is incredible and there are so many amazing features and ways to customize the templates to make them your own! Another WordPress template shop I highly recommend? Code + Coconut! 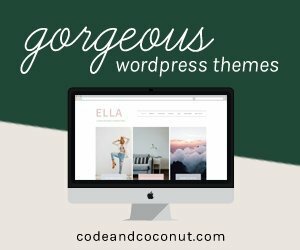 They sell gorgeous, minimal themes that are easy to set up so you can get the beautiful site you’ve been craving as soon as possible! Once you’ve picked out your dream template, you can customize it to suit you and your brand! You can change the colours, fonts, layout, sidebar, menus, widgets, pretty much everything! Get creative! You can also invest in a stock photo membership like Haute Stock to enhance the aesthetics of your blog and social media. Haute Stock has helped me grow my blog so much with their stylish, affordable and totally gorgeous photos. I don’t know where my blog would be without this subscription! Sometimes I just don’t have the time to shoot my own content, and the Haute Stock library is truly stocked with SO MANY bright, airy and feminine photos, perfect for female bloggers! They release new images every Monday, so you’re never in short supply! From lifestyle images to desktop flat lay images, seasonal images, and more, you’re sure to find the perfect photos for your blog that will elevate your brand from the very start! I really wish I had a subscription to a photo site like Haute Stock in the beginning. I know it would have taken so much stress off my to take/find beautiful photos and would have catapulted my blog to success much faster! If you’ve been thinking about starting a blog, now is the time! 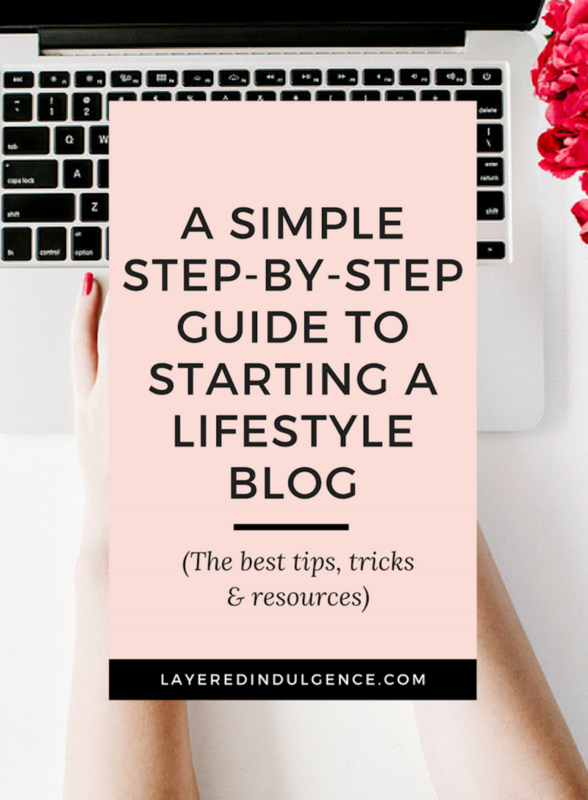 Follow this step-by-step guide and you’ll have your lifestyle blog up and running in no time! 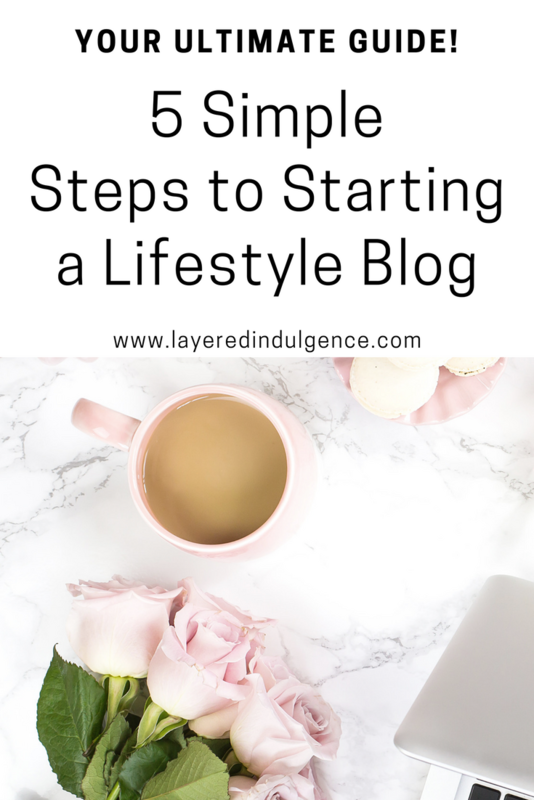 If you loved this post on how to start a lifestyle blog, please share the image below on Pinterest! I found you on Pinterest and I was self hosted before, starting again with wordpress.com because of finances but I think I can afford $6.95 a month. Thanks for the reminder. Hi, oh my goodness I am so glad I found you! I have been planning to start a blog but I could not figure out how to finde my focus. I read the first part of this post and it helped me so much. I wanna start a lifestyle blog, but didn’t want to focus only on one thing. Hi Miriam! I’m so glad I could help you out at the start of your blogging journey! You definitely need to write about just one thing, but having a focus is important 🙂 Please let me know when you launch your bog, I would love to take a look 😀 Have a wonderful Friday! Thank you for sharing! Your post helped me narrow my focus for my blog lifeasjackieo.com Now I’m going to expand and talk about relationships, Nutrition, Self awareness or self improvement haven’t decided yet, growth, wandering, and travel. I’m also hoping to monetize it but do you have any suggestions on this? Or do you think I should focus on building a following and creating quality content first? Hi Jackie! 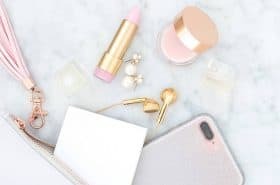 It’s so great to hear that this post helped you narrow your focus 🙂 In terms of monetizing, the way I’ve gone about it is to first start out creating great content and growing my following and engagement! Thank you for this. It was affirming for me because so many recommendations out there say you won’t be successful without a niche and I just couldn’t subscribe to that. I’m planning on launching my new blog (justsimpleheath.com) soon on very simple changes that can lead to a healthier lifestyle. My question is, do you have any recommendations for training using WordPress dashboard? It’s a bit overwhelming to me and currently my blog does not look good enough to launch. Thank you so much for your time. This post was so helpful! I just started a blog but I am still having trouble narrowing down what to talk about and how to reach out to a specific audience. thanks! I’m so glad I found you, I was planning to start a blog on lifestyle but did not really have a niche or my mind had more wide ranging ideas. This post really helped me list my main focuses and I can now start my blog very soon. I’d really appreciate if you check it out and let me know where to improve. This is really helpful, love. I’ve been wanting to self-host but still don’t know where to start or how to start. You mentioned wordpress.org. Could you elaborate more? I can’t seem to understand how it works. Is it a hosting company? How can I self-host through that? I want to try ehost.com, do I still have to use wordpress.org after using ehost? I’m sorry but I’m just out of sorts. Hi Anne! WordPress.org is a blogging software, you still have to go with a hosting company as well ( I use Siteground :)). With WordPress.org you are self-hosted and own all of your content,but you still need a host company like ehost. Hi! LOVED this post it was sooo helpful. 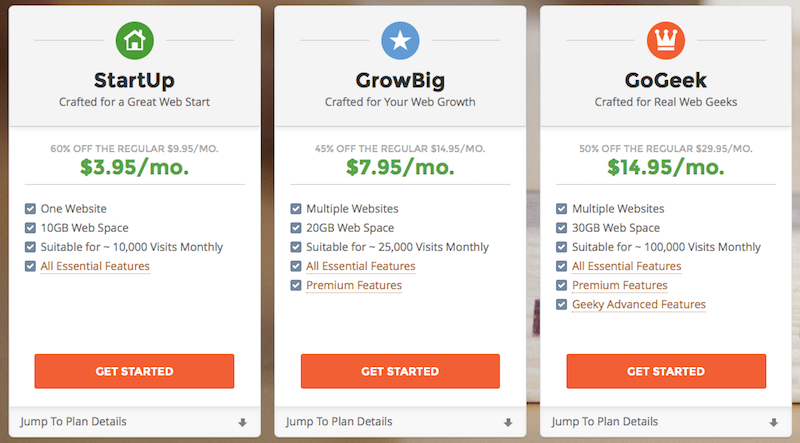 Quick question – I want to get the most simple siteground account that is 4 dollar a month and that includes the free domain. If I were to ever end things with Sitegroikd would I still own that domain name? Thanks! Awesome thanks for replying Kate! Hi Inga, you’re so welcome 🙂 Good luck with your site! Hi Kate! Those are all great tips! I just started my blog and published my very 1st post yesterday! I love that you suggested siteground because that is who I am using and their customer service is awesome. They even help with setup if you need it which I think is priceless for people who are totally overwhelmed with the concept of starting a blog. I mean, who wouldn’t be? I know I was! Thanks for the helpful post and keep up the good work! I love the look of your site! I am a lifestyle/everything blogger and I blog about travel, poetry, friendly debatable topics, printables, blogging tips, writing tips, etc. I still use a WordPress.com hosted site, so I can’t really get pluggins. Thanks for replying! I was blogging with WordPress.com for almost 2 years (the anniversary is in 2 days haha), and I love the nice community there. I followed a lot of bloggers that went self hosted. Some of them posted about it beforehand, some didn’t. I eventually lost touch with most of them, but I still follow 2 or 3 self hosted sites. I couldn’t reach their site easily, or something went wrong. It’s not as easy to comment on their site, because you would actually have to go to their site, not from the Reader. I’m tentative to switch to .org because it’s a big step honestly, although I was debating it for a couple of months. I would love the control over my site – the theme, ads, html stuff, etc. Although I’m afraid I’ll lose contact with my readers and lose them. Some people told me to switch to .org – I want to, but I’m not sure if I’m ready yet. You definitely make some great points, and it’s important you feel ready before you make the switch! If you’re not feeling ready then I say hold off, but going self hosted is awesome if you want to eventually monetize your site, and like you said, you have complete control 🙂 But I’m sure you’ll know when you feel ready and can make that decision confidently! I currently have a wordpress.com account for my blog, but have been looking at switching over to wordpress.org. How difficult was that / did you just have to pay for a hosting site, and the wordpress.org account is free? Hi! I just started my own lifestyle blog but I’m not sure how to get my first few viewers? Its not like if you search up my content it will come up on google so how do I get people to learn about my blog? Hi, i just read your article and i am thinking of starting a blog but i am not creative at all. Do you thing that creativity is important? Hi Marilena, what is it that is motivating you to start a blog? The writing part? You can get someone to design your blog for you and deal with the visuals if that’s what you’re worried about, but I do think creativity is important for your writing in terms of coming up with ideas and writing your story! Hope that helps! This blog post is everything I have been looking for! I have been doing a bunch of research on starting a blog and I feel like my biggest struggle is deciding what to write about. Most things I have read say do not do a lifestyle blog but after reading this I know that it is totally possible. Thank you for this! Thanks so much Rachel! I’m so happy you found this post and are more confident about writing a lifestyle blog! It can definitely be done!! Plus, being a lifestyle blogger, do I need to have a bag collection, makeup, and all that I wish to have but don’t have money for right now? Hi, love your content. Quick questions are the steps similar regardless of any country one is in? Thanks so much Priscillah! I believe it should be the same, but I’m not totally positive! I can’t thank you enough for this blog post that you created for beginners like myself! I have been wanting to start my own blog for some time now, but felt like i needed some guidance. Everything you have mentioned has been super helpful for me and you made it a very enjoyable experience to start something new and scary! -Excited to follow you on your journey now. I just found your blog via pinterest and I am glad i did. You are amazing.